Find your calling at Aspire Senior Living. 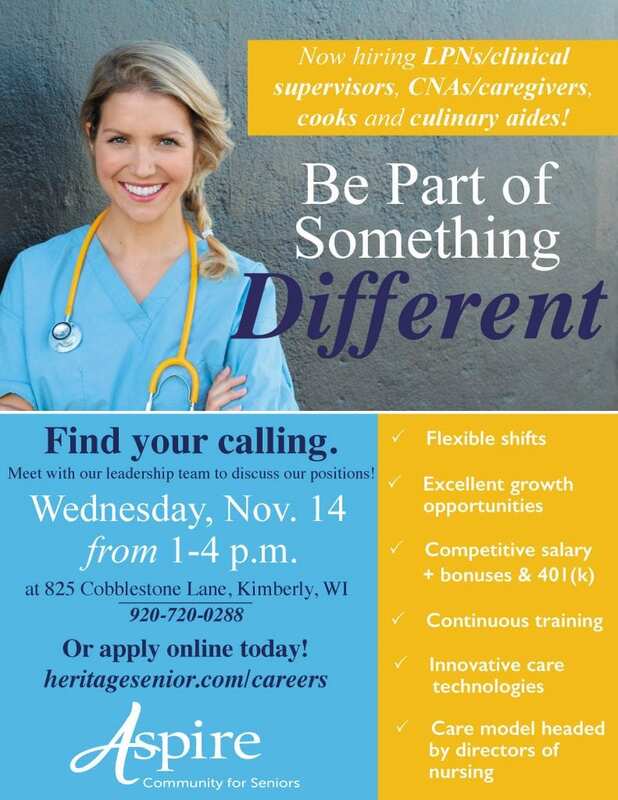 We’re looking for LPNs/clinical supervisor, CNAs/caregivers, cooks and culinary aides. Meet with our leadership team to discuss our positions.